I love spring! The warmer weather is so nice and all the plants, trees and flowers coming to life are such a welcome sight. 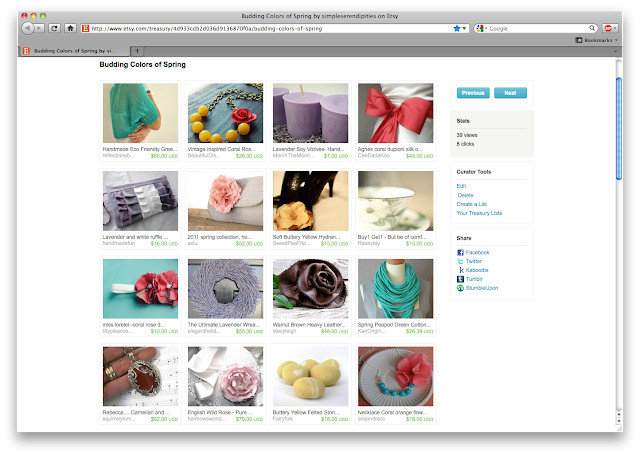 I made a spring treasury on Etsy this morning. I am really enjoying all these colors! There are a few tutorials I would like to post, but I need to finish a large order that Abigail and I are working on (I'll post pictures of everything we've been up to later on). Speaking of tutorials, if you wouldn't mind, go vote on the poll I put on my sidebar! Shortly after I made this dress for the Shabby Apple Design Contest, a friend asked me to make one for her niece, Hannah. It needed to be a different size than mine so I was presented with the problem of pattern grading. (Pattern grading is explained here.) I looked into getting the pattern graded professionally, but it was pretty expensive, so I decided I needed to learn how to do it myself. I found a tutorial that has understandable and easy to follow instructions. If you would like to sew something with a pattern that doesn't have your size, I recommend learning this technique. 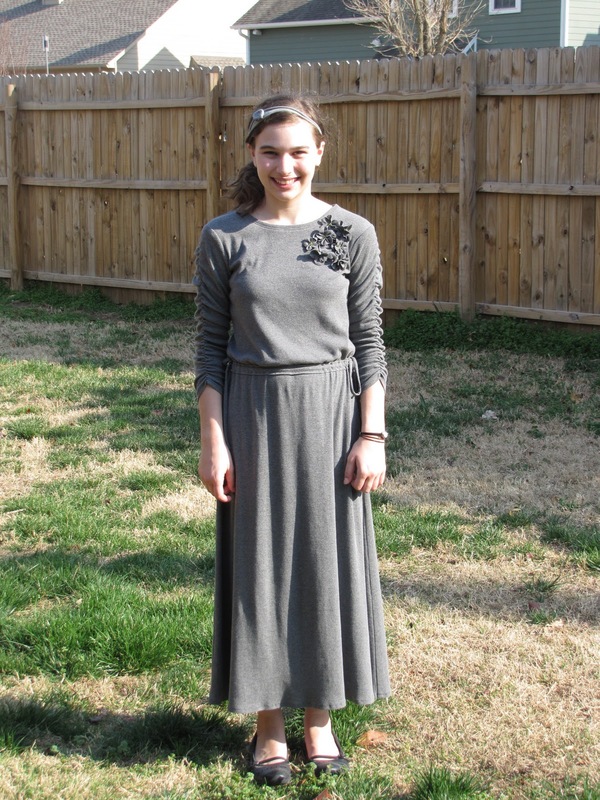 Here is Hannah looking lovely in her new dress! I had fun making the flowers by the neckline. I sewed them onto snaps so they could be taken off when the dress is laundered. Did you notice the simple Serendipities tag? ;) That's my favorite part of the dress, I think! I printed my logo onto iron on transfer paper, transferred it to a piece of twill tape and sewed it in. I had a few more buttons left over from this project, so I made another flower, this time documenting the steps so I could share it with you. Despite the length of this of this post, this flower is actually quite simple to make and comes together quickly. 1. Draw a petal for your pattern. This is basically a circle with the edge cut off. I cut mine out of cardboard so it would be easy to trace around. 2. Cut 5 petals out of the leather. 3. Hold a petal in both hands and fold to make a pleat. 4. Hold the pleat together and make one stitch coming up from the back. 5. For the second petal fold the pleat and make one stitch, this time starting at the top. Then put your needle through close to where you came up bringing your thread to the underside. Repeat this step for the remaining 3 petals. 6. When you have all five petals sewn on, attach the first and last petals by putting your needle through the first petal close to the first stitch. Knot your thread. 7. Apply glue to the back of your button and stick it in the middle of the flower. 8. Cut a small circle of felt and glue it to the back of the flower. 9. Glue on a hair clip, pin or whatever accessory you desire. These shoes were missing a button so I took all the buttons off and glued new ones on. I started to throw the old buttons away, but then I remembered some faux leather I have that they might match ~ perfect flower combination! This is a new style for me to make. It turned out even better than I imagined. Can't wait to make some more! :) I mounted it onto an alligator clip to wear in my hair. 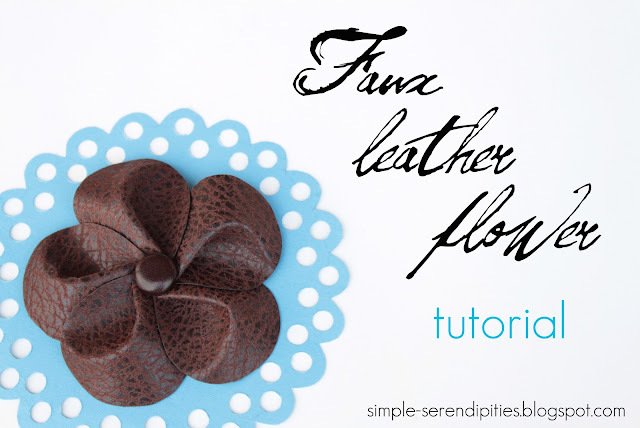 Would you like to make a faux leather flower? I am planning a tutorial for it! 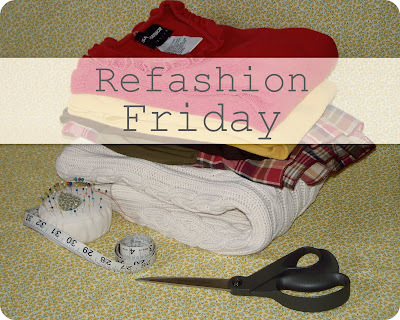 Have you done any fun projects this week?